Hurra for the Attaman Platoff & the Cossacks & the Russians & the Generals with unutterable names, hurra, hurra – Oh Tom that you were but here to hurra with me, over this evening news! I dined at Ponsonbys yesterday, we talked of the affairs of the North & Calvert, (who might have risen to excellence as a Chemist or a Mathematician or a General – or a Poet, if he had not thrown away all his ardour, & all his genius upon a pursuit which of all others requires the least) said what he would have done with Buonaparte if he were taken prisoner. He would put him in the open country, & pile round him a huge mound of the dead who had perished in his flight, with their faces turnd toward him, as they had stiffened in their agonies, – so that which-ever way he looked those ghastly faces & dead eyes should be upon him – & there leave the Tyrant to stiffen & freeze in the midst of them. – There is a grandeur in the thought which perfectly galvanised me. It would not only be the fittest punishment & worthy catastrophe of such a tragedy but it would be the finest & most aweful circumstance in human history past or to come. 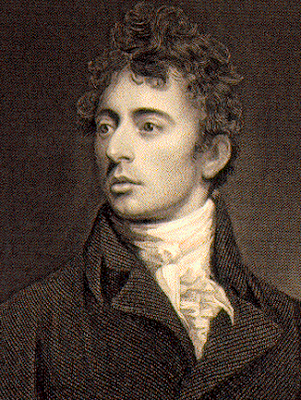 — Robert Southey writes to this brother Thomas Southey, and takes too much giddy enjoyment in a fantasy punishment devised for Napoleon, December 18, 1812.